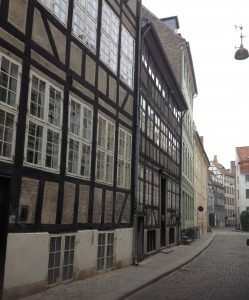 On the 12th of April, I had the chance to fly to Denmark to be part of the Care and conservation of manuscripts-16th Seminar in Copenhagen that took place from the 13th to the 15th of April: http://nfi.ku.dk/cc/. 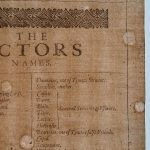 Care and conservation of manuscripts CC16. 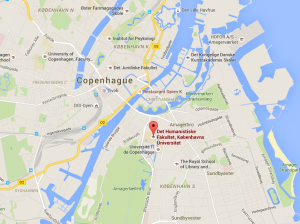 It took place in the Faculty of Humanities at the University of Copenhagen. 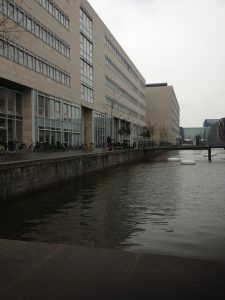 The Faculty of Humanities, Copenhagen University. 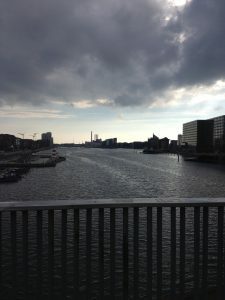 During the three days of the conference, various topics were debated, from preservation and conservation case studies, to digital imaging and bookbinding history. As I was trying to choose one of my favourite presentations, I realised this was an impossible task. Going through my notes, I selected the ones that particularly raised my interest; Michaelle Biddle’s talk about her work in Nigeria, and Marco di Bella & Nikolas Sarris’ presentation about the conservation challenges they faced in Ethiopia were both fascinating. Their creativity in completing conservation treatments in a difficult and non-ideal environment was admirable! Marco di Bella and Nikolas Sarris presentation, “The conservation of a 15th-century large parchment ms of Gädlä säma ‘tat from the monastery of Ura Mäsqäl: Further conservation experiences from Easty Tigray, Ethiopia”. Bookbinding history was well illustrated by Frederick Bearman’s talk about laced overband bindings, and Abigail Quandt’s research on purple-dyed parchment manuscripts. I also learned a lot about digitisation and its possibilities for conservation purposes through, Alberto Campagnolo’s presentation about his PhD research to create digital collation diagrams of bookbindings. 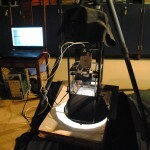 Multispectral imaging was also discussed in Michael Toth’s presentation, and during his imaging demonstration later on. 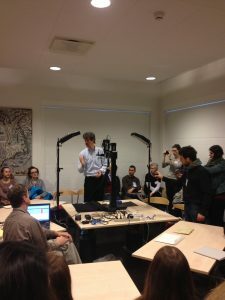 Multispectral imaging demonstration by Michael Toth. Finally, I greatly enjoyed Matthew Collins’ talk about the York biomolecular research into parchment. Using a non-invasive rubbing technique, the York laboratories have managed to extract DNA from old parchment, therefore enabling the study of the animals (such as their species, age, size, etc.) used to create writing supports. On the final day of the conference, I also had the privilege to present my MA research project in collaboration with Professor Lieve Watteeuw (KU Leuven, Faculty of Arts, Illuminare – Centre for the Study of Medieval Art). 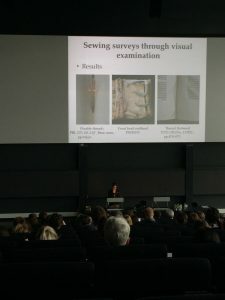 Our presentation, “Sewing threads in hand-made Western European bookbinding: Historical sources, imaging and analytical assessment (12th -19th century)”. It was a wonderful experience and I was delighted to be able to share the results of my MA research with the audience. 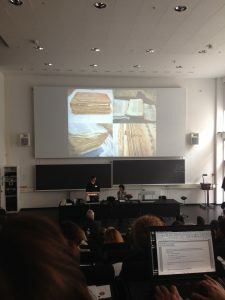 Presenting my paper with prof. Lieve Watteeuw,“Sewing threads in hand-made West European bookbinding: Historical sources, imaging and analytical assessment (12th- 19th century)”. Attending the conference was also an amazing opportunity to meet other professionals in the field and to discuss conservation! 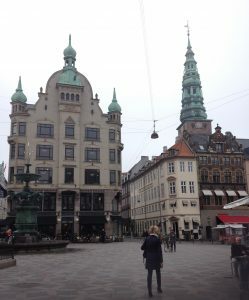 Finally, on the last day of my trip, I even had a few hours to discover how beautiful Copenhagen is. The conference was a huge success, with approximately 220 participants from all around the world. 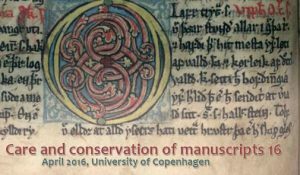 I hope I will have the chance to go back to Copenhagen soon, and attend the next “Care and conservation of manuscripts” conference in April 2018.